"Electronic devices don't have to drive us apart. They can bring us together." "Those basic tools can actually be quite helpful," Dr. Gail Saltz says of Fix A Fight's approach in a conversation with Today Show technology reporter Natali Morris. Psychotherapist and marriage counselor Mark McGonigle has a private practice in Kansas City, Mo., and an iPhone app that will help you Fix A Fight with the one you love. Fix A Fight generated a buzz in the local news media when it was introduced, and its solid reliability has led to national recognition. The New York Times and the Today Show recently featured Fix A Fight's use as an adjunct to professional therapy or a stand-alone aide in communication. The app also made news in The Kansas City Star, AARP.org and local TV news shows. Effective therapies can produce real improvements in people's lives and relationships. 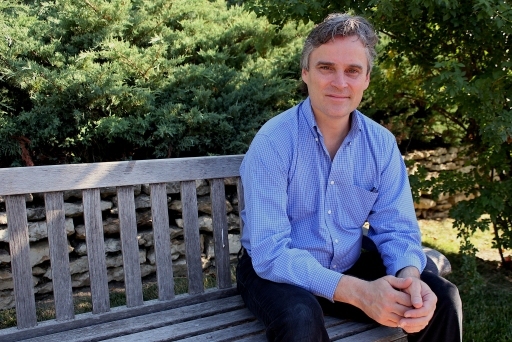 Clients of Mark McGonigle, LCSW, have reported swift and steady benefits from the techniques he recommends for developing wise solutions in the face of life's problems. The first step in any change, paradoxically, starts with acceptance of yourself. In therapy, Mark provides an atmosphere of acceptance in which you can safely uncover the feelings associated with your issues. Mark will help you identify your own strengths and will help you search for the solution within yourself. Then it will be easier to engage an agenda for change, growth, or effective action. To help his clients and others make progress towards wise solutions in a practical and convenient way, Mark hit upon the idea of delivering therapy tools through iPhone applications. He started WiseMind Apps and has released his first product, Fix A Fight. 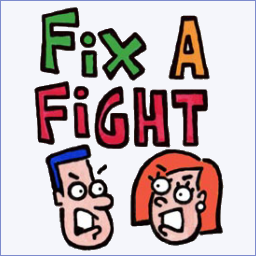 Fix A Fight is a handy tool for working through the inevitable conflicts of marriage — and coming out with intimacy intact. It is the first application developed through WiseMind Apps, a new software company Mark is building alongside his private practice in Kansas City, Mo. As a Licensed Clinical Social Worker, Mark McGonigle has decades of counseling experience in hospitals and private practice, and he eagerly seeks out the latest research in the field. His goal is to make the best tools of the trade available in ways people will find most helpful, not only at the therapist's office, but also in their everyday lives.